Caesar's Corner is a place to recognize good things happening in our parish and the wider community; a place where we join Caesar in giving a round of a'PAWS'. The Catholic Daughters Court St. Catherine #323 will have a Rummage/Bake Sale on Friday, June 01 from 1-6pm and Saturday, June 02 from 8am-Noon at Queen of Peace Community Room. Msgr. Schumacher and Fr. 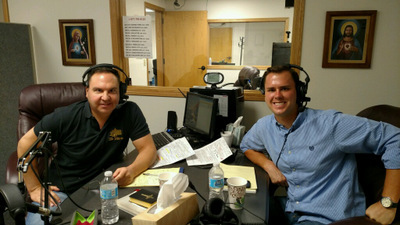 Dosch in the Real Presence Radio Studio, Bismarck, on August 01, 2017. Msgr. 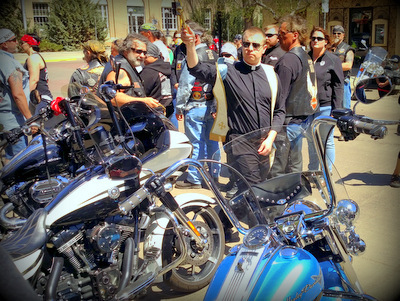 Schumacher is a regular host for RPR and interviewed Fr. Dosch and showed him the "Radio Ropes". 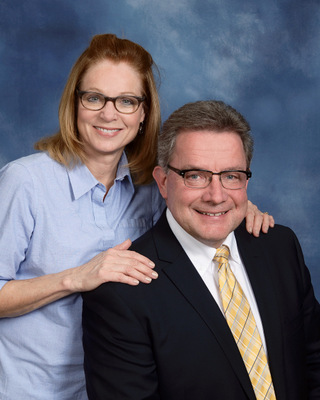 Mike & Kathy Kiedrowski Family! Congratulations to the 2017 First Communicants! 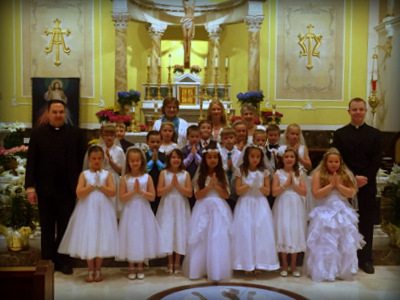 Thank you to everyone who helped prepare these children for this great Sacrament! The Belfield Knight of Columbus Council 6310 invite everyone to a Lenten Fish Fry on Friday, March 24, 2017 from 5:30-6:30pm at the St. Bernard Parish Hall. Enjoy a full meal with all the trimmings. The Catholic Daughters Court Our Mother of Perpetual Help 2148 will host a bake sale. A free will offering and all proceeds go to support religious vocations. 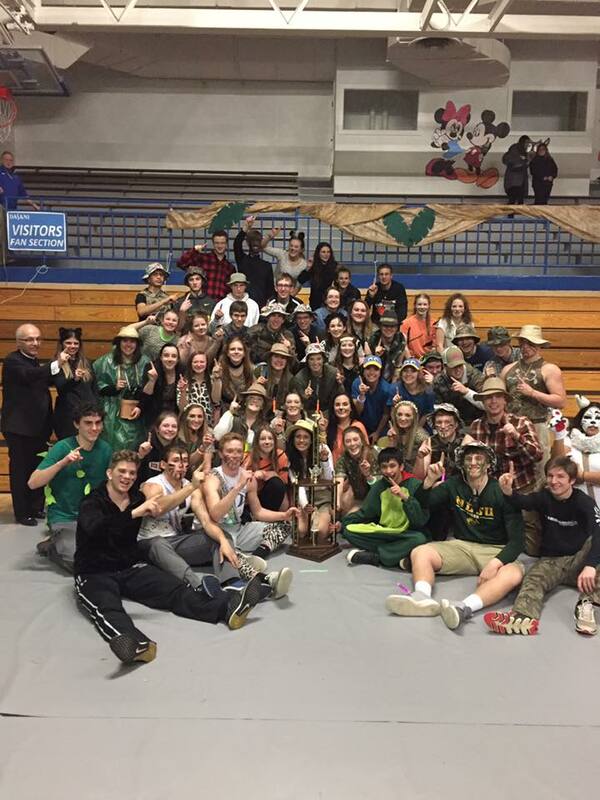 Congratulations, THS...winners of the 2017 Know Your Faith Competition! GROTTO MASS: St. Joseph' Church is hosting a Grotto Mass at 5:00PM on Monday, August 15 at Kramer's Grotto in celebration of the Assumption of the Blessed Virgin Mary. There will be a potluck following the Mass. Plates, napkins, silverware, and drinks will be provided (Thank you KC Council 6308). Please bring your own chair. On Friday, April 08, 20+ bakers helped make and bake the Kolache and Roliky for the 2016 Spring Festival. Thank you for sharing your kitchen talents & a love for our ethnic heritage!